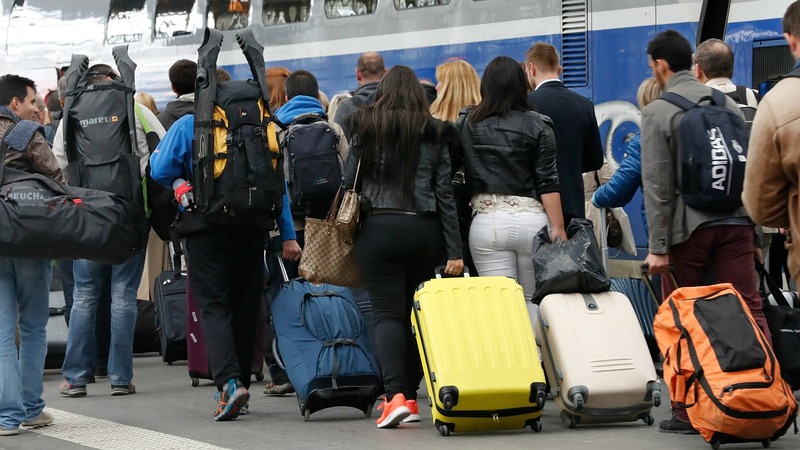 French rail travellers faced more misery today (3 June) as strikes cut train services by half but a militant union’s bid to widen protests against planned labour reforms to air traffic control and the Paris metro appeared to fail. 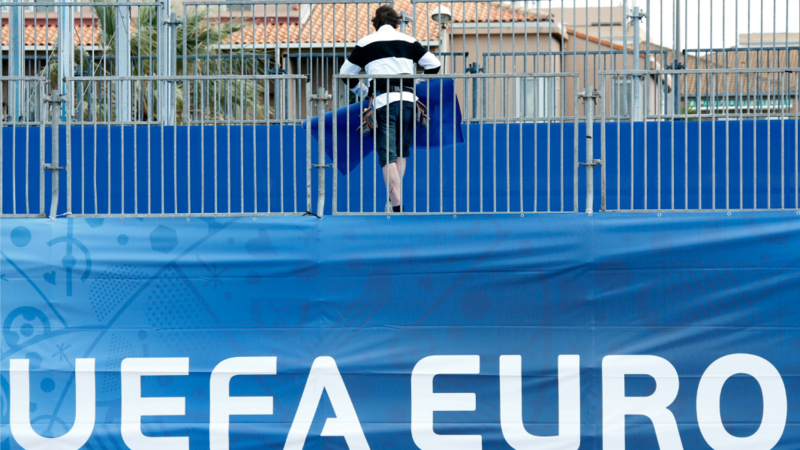 The Socialist government refuses to scrap the reforms despite fears the standoff could disrupt the Euro 2016 soccer championship that starts on 10 June, and an opinion poll on Thursday (2 June) suggested public sympathy for the strikes was ebbing. French high-speed train services will be cut by 40% and other inter-city links by two thirds on Friday, said the state-owned SNCF railway firm, a bastion of the large, militant CGT union. 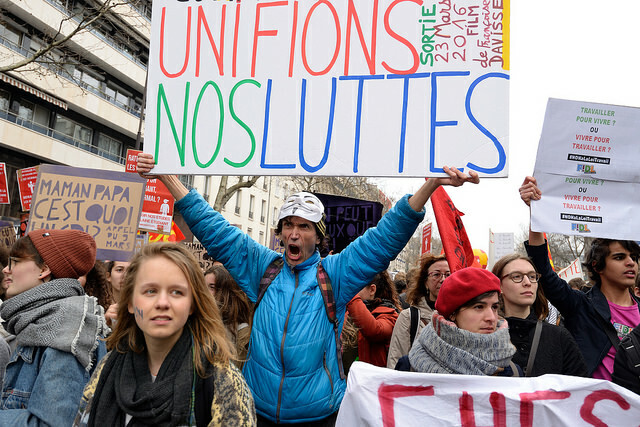 However, the smaller UNSA union pulled out of the strike after government assurances of help with the SNCF’s €50 billion debt, removing another strut of CGT support. “You always know when a strike movement begins but you never know how it finishes,” said Elvis Thoyer, a CGT rail unionist marching among a thin crowd of protesters in Paris. In the western city of Nantes, a small number of hooded youths on the fringes of street protests smashed shop windows just as President François Hollande told the country’s mayors that political debate should “never be brutal and violent”. In an unrelated dispute over pay, Air France pilots called a strike for 11-14 June, coinciding with the start of the Euro tournament, which is expected to draw 1.5 million foreign fans. 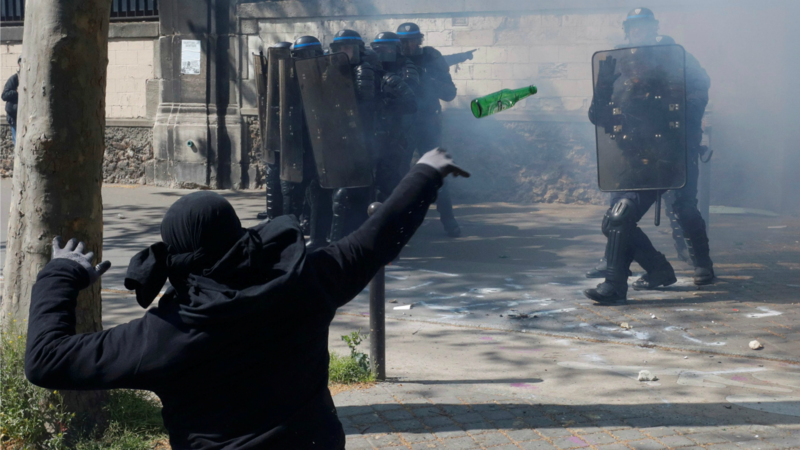 The pilots’ dispute has little directly to do with the anti-reform movement that has sparked months of strikes and street protests, some violent, though it compounds the risk of chaos when all eyes will be on France for the soccer festival. Transport Minister Alain Vidalies said traffic was running normally on the Paris Metro despite a strike call while unions called off an air controllers’ strike after government promises to keep staffing at current levels for the next three years. CGT-led stoppages caused limited disruption at refineries and nuclear power plants but the union looked increasingly isolated in its efforts to force the government to withdraw reforms that would make hiring and firing of workers easier. Hollande has rejected demands that he scrap a bill the CGT says will undermine labour protection by giving firms more scope to set in-house deals on pay and terms. His Socialist government, which insists the reform is needed to fight high unemployment, has been working flat out to defuse sectoral tensions and prevent various grievances coalescing into one big national protest. An Ifop poll for Le Figaro magazine showed 60% of French people believe the CGT is abusing the right to strike. In a series of CGT publicity stunts, energy workers cut power to the town hall of Tulle, Hollande’s political fiefdom, and switched more than a million homes in the Paris area to low-cost power supply. Union members in the southern Var region also cut off power to the holiday home of employers’ leader Pierre Gattaz after he accused protesters of behaving like “thugs”, the CGT said. In an attempt to shore up public support, the government this week announced pay rises for state-employed teachers and pledged to restore scrapped public spending for research. It also intervened to force SNCF management go some way towards meeting union demands that rest-time be protected in a reorganisation under negotiation ahead of a Europe-wide opening of passenger rail services to private competition from 2020. With presidential and legislative elections a year away, the concessions to teachers could help repair damaged relations with a sector generally sympathetic to the ruling Socialists.